When a program crashes (what Apple euphemistically describes as an “unexpected quit”), that’s enough trouble all by itself. The last thing you need is an Apple dialog that misinforms you about what will happen next. But this is apparently what occurs. I bring this up now because Apple recently posted a revised version of a support article titled Relaunching an application after it unexpectedly quits. So far, so good. It’s at this point that things begin to go astray. Actually, they appear to go astray only if you are running Mac OS X 10.5 (Leopard). In Mac OS X 10.4 (Tiger), the procedure works exactly how the article describes (as I similarly noted in a 2006 Macworld article). The Apple article states: “The ‘Reset and relaunch’ option resets the application’s preference settings to a default, then opens the application again.” Translated, this means that the application’s current preferences (.plist) file, located in ~/Library/Preferences, is replaced by a fresh default copy. If a corrupt .plist file was the root cause of the crash, this shift should fix it. Unfortunately, when running Leopard, I could find no evidence that this shift is taking place. In all of my tests, the .plist file remained the same, unmodified in any way. Additionally, the small print of the second dialog reads: “You will be given the opportunity to restore your original settings when you quit the application.” In other words, if the application no longer crashes on your most recent relaunch, and you quit normally, the “Restore” dialog should appear. This too appears incorrect when running Leopard. I can’t confirm that the dialog never shows up. But I have been unable to get it to appear in any of my tests. 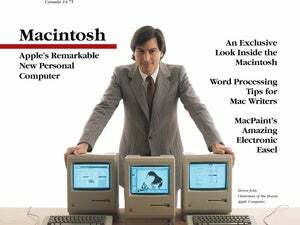 I alluded to all of this awhile back, in a Macworld article written shortly after Leopard was released. At the time, I assumed the errors were a glitch that Apple would soon fix in a 10.5 update. I was wrong. Based on this updated support article, Apple doesn’t even seem to know there is a problem that needs fixing.